Submitted by WBRi on Sat, 09/28/2013 - 05:33. Sambalpur Kalaparishad was established in the year 1956 with an aim and object of promotion of Dance and Music of Western Orissa. Under the able leadership of Late Sri Murari Prasad Mishra, Ex. Minister a school was started functioning in the Parishad Premises for imparting formal training to the students in Dance and Music which runs till today. Submitted by WBRi on Wed, 01/13/2010 - 19:19. Naresh Thakur is a renowned and well known Baul living in Bangladesh. He has been singing for over twenty years. He has a son and a daughter, and travels across the length and breadth of Bangladesh in true Baul fashion. He has performed internationally on invitation, including in London and the USA. This time (Jan 10, 2010) he was visiting India - the famous Shaktigar Baul Fakir Utsav Festival. Naresh Thakur's primary influence is Baul Shah Abdul Karim (শাহ আবদুল করিম, 1916 - 2009) - one of the most famous legends of Bangladeshi folk music. Naresh Thakur Baul sings a Dehatatwa song. He also sings a song by Shah Abdul Karim Baul. Watch the interview video recorded and contributed by by Tapan Sanyal. Submitted by WBRi on Sun, 11/22/2009 - 14:02. A pretty village in the district of Faridpur in the undivided Bengal (Now in Bangladesh), NILRATAN KANJILAL was born there on 1st March 1944. He is the eldest son of Late Satish Chandra and Kaushalya who both were in born folk singer. They both used to sing village songs in almost all of their daily sphere of working life. Thus Sri Kanjilal got an inherited sense of music. His grand mother could present mythological stories in an impressive manner through instantly creation lyrics. The grand mother thus made an influence directly to her grand son since childhood towards music. 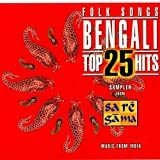 Listen to Nilratan Kanjilal's Bengali classic folk songs online. Get interviewed and featured at WBRi - use the Contact link to contact us. Submitted by Calcutta Music on Sat, 04/18/2009 - 01:30. 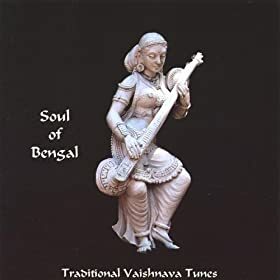 The Musical Map of India Series of music albums strives to capture the diversity and rich traditions of songs across the subcontinent tempered by the timelessness of the longest continuous civilization in the world.